Don't chuck those 12-ounce cans in the recycling bin! 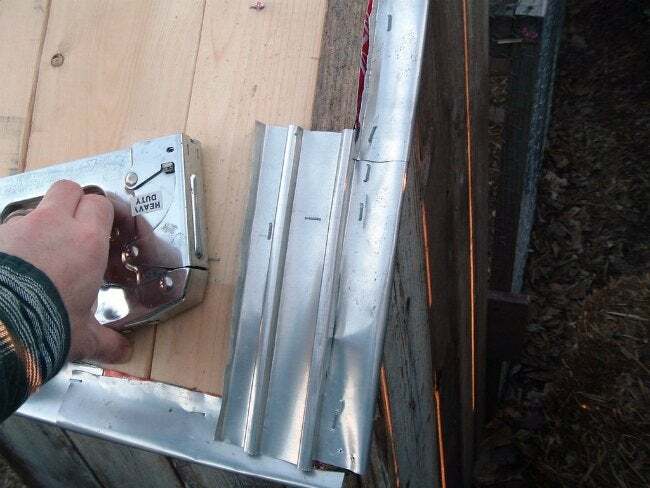 Instead, start saving up aluminum for this wonderfully offbeat backyard DIY project. “Start drinking now if you plan to make this,” writes Instructables user robbtoberfest, the genius behind this wonderfully offbeat backyard DIY project. For a 24″ x 24″ roof, about the size for a chicken coop or small shed, expect to use at least 40 cans (of the 12-ounce variety). To turn them into shingles, the first step is to build a die—that is, a simple hinged template that presses the aluminum into the desired shape. It’s all explained in the project guide, but suffice it to say that with 1’x6′ hardwood, two square metal rods, basic tools and some beginner woodworking skills, you ought to be on your way to nailing shingles within a half-day. Installation is as simple as nail-gunning the newly formed shingles onto the plywood roof sheathing. Cover the bottom and side edges of the roof sturcture first, and as you go, be certain to overlap each successive shingle you apply. 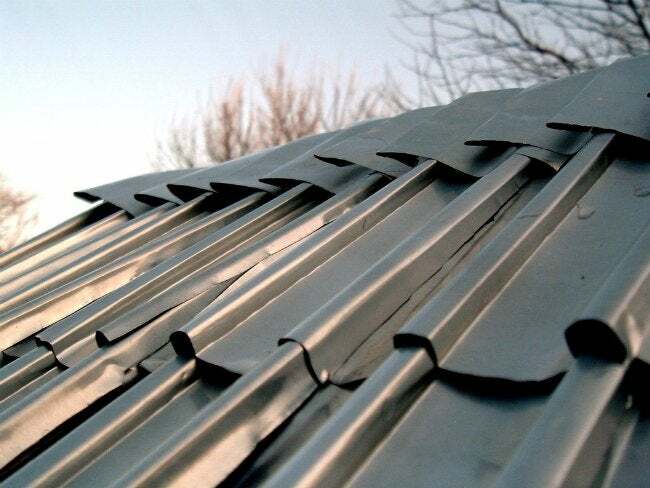 To cap the roof, bypass the die and simply fold a series of unpressed aluminum sheets in half, lengthwise. Nail those along the ridge to complete the job, and you’re finished. Not a bad way to recycle the refuse from the party last weekend, wouldn’t you say?